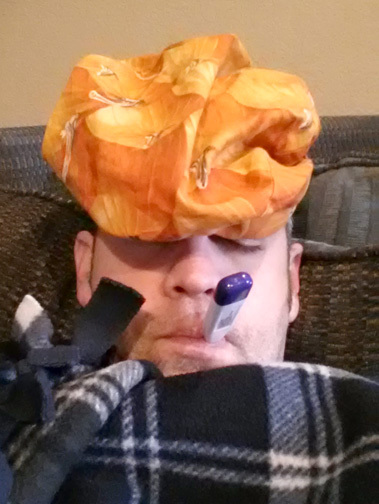 2012/2013 Flu Diary H3N2 | Have YOU Ben Starr Struck? This entry was posted in Blog and tagged Citricidal, Dallas, death, description, doctor, emergency, extract, fatality, fever, flu, folk, ginger, grapefruit, H1N1, H3N2, high, home, honey, hospital, lemon, low, NutriBiotic, remedy, room, seed, sore, swine, symptoms, Texas, throat, toddy, virus, vitamins. Bookmark the permalink. you are young, and relatively healthy (no immune deficiency). The chances of you dying of flu are very very low. Mostly its the very young and old that die of flu. Every now and then, a seemly healthy adult will die, but its usually cause they had some other secondary problem they weren’t aware of, or they just didn’t get proper rest–aren’t healthy. Zinc and vitamin C are useless to combat the flu, as are all vitamins. Zinc is used in DNA and RNA replication. Virus use the bodies DNA mechanisms to replicate themselves. So loading up on Zinc and other vitamins does nothing other than ensure there are plenty of the these Co factors available for the body to replicate its cells–along with the virus. With Vitamin C, you just eliminate the excess as with most other vitamins as well. Your body knows when you’ve had enough of something (in most cases). Taking more doesn’t do anything. About the ONLY thing you could take would be immune system enhancers. These would be synthetic compounds designed to stimulate the immune system to replicate faster or release more cells from your marrow. The bone pains you feel are just that. Your bone marrow (where all of your red and white blood cells are produced) are in overdrive to produce more cells anyway, and that is why you feel bone pain. However, your advice on drinking lots of fluids are 100% correct. You can eat anything you want while sick, but usually a fluid diet will do a couple of things. 1st, it is very high in water, keeping you hydrated. 2nd, it is easier on your throat. 3rd, it is easily digestible and will give you nutrients to heal quicker. Loving how you inadvertently shared all your remedies for being sick! I’m not always as prepared as I want to be when sickness gets to me.